Today virtualization is a major component of IT industry. We can see virtualization is gaining popularity in server, network and storage domains. 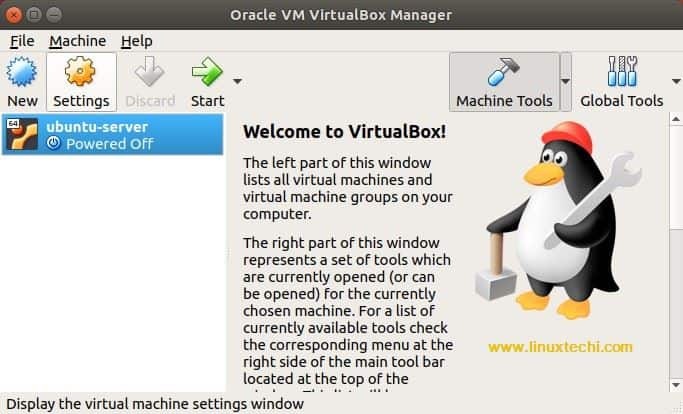 To fulfill users need many open source virtualization solutions came into existence and Oracle VirtualBox is one of them. In above command general option can be verbose mode, suppress logo, response file etc. Command can be various actions like – create vm, list vm, show vm information etc. Virtual machine 'ubuntu-server' is created and registered. We have successfully created VM from CLI. But this VM is not usable at this moment we can make it usable by assigning NIC, allocating memory and attaching disk to it. In above example I’ve use vmnet1 network. It is created by default when Oracle VirtualBox is installed. This command will create virtual hard disk. At present it is not associated with any VM. In previous section we have created virtual hard disk. We need a SATA controller to attach that disk. Below command creates SATA controller. This command will open VirtualBox Manager from where OS installation can be done. 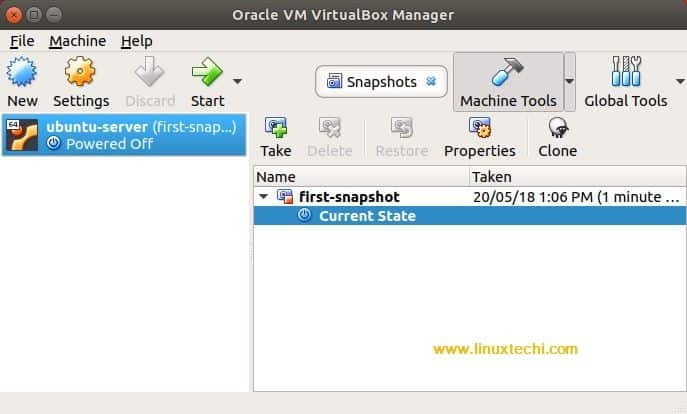 $ VBoxManage snapshot ubuntu-server take "first-snapshot"
$ VBoxManage snapshot ubuntu-server restore "first-snapshot"
Please note that this command will delete all Virtual Machine files (configuration files as well virtual hard disks) from system.